It's BACK! The DAHLC is hosting its 6th Indoor Adventure Race. 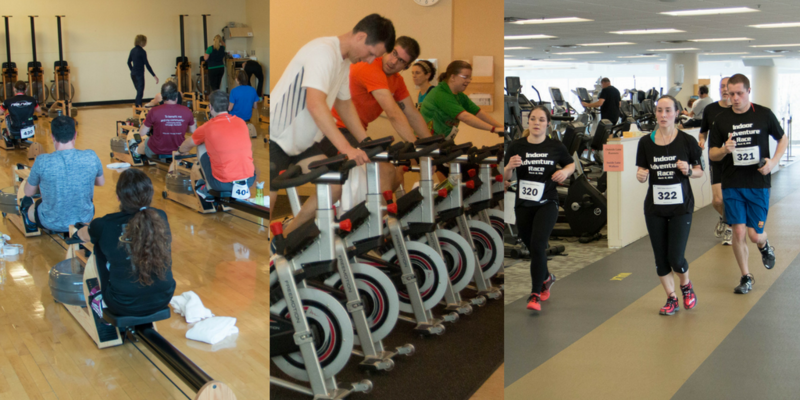 This event combines a 5000-meter Indo-Row challenge, a 10-mile indoor bike ride and a 5k indoor run/walk. Participants will end with muscle recovery stretches and a healthy post-race snack. It's a fun way to meet new friends and competitors! This race is limited to 40 participants so sign up today at the front desk or call 507-266-4688. To prep for this race, we encourage you to attend Cycle and Indo-Row drop-in classes. Also, the Cycle Intro will cover the basics of bike setup and include a short workout on the bike. Cycle Intro meets Mondays 12:15-12:45pm and registration is required at the front desk.